Facial tap filter filtered drinking water from the tap is the safe drinking water, healthiest, and least expensive, Aqua Care RO use advance filtration methods activated carbon, carbon, kinetic degradation fluxion (KDF), and particulate filtration produce filtered drinking water; KDF media to strongly eliminate chlorine and other metals from tap water and gives great tasting water from the tap Aqua Care RO KDF’s tap water purifier performance actually improves the higher the water temperature, whereas carbon’s performance decreases With this technology, Aqua Care RO Facial tap filter has been shown to effectively remove 98+% of this damaging chlorine, for up to 1 full year (for 4 people) 3 times longer than other tap filters. Facial tap filter helps for salad or fruits we eat too are mostly washed with infected water which puts our health to added risk. Facial tap filters also helps you to BPA free Up to 55%. 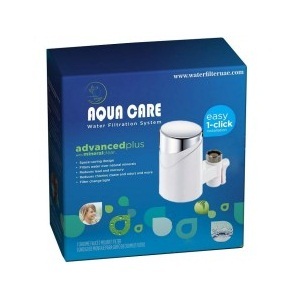 Facial filter assure about your skincare with freshest cleanest water possible. It’s the great convenience product with best taste of water and great money saver it’s the great convenience product with best taste of water and great money saver.